The lift-a-gold-bar exhibit was a celebrated centerpiece of the Mel Fisher Maritime Museum for decades. The two men responsible for stealing a gold bar from a Key West treasure museum were sentenced Monday at the federal courthouse in Key West. Richard Johnson received five years and three months in federal prison, while Jarred Goldman was ordered to serve three years and four months. The two drove to Key West from Palm Beach County in August of 2010. Security video from the Mel Fisher Maritime Museum shows them both hanging around the museum near closing time and returning repeatedly to the museum's most popular exhibit — a gold bar in a clear case with a hole in front. 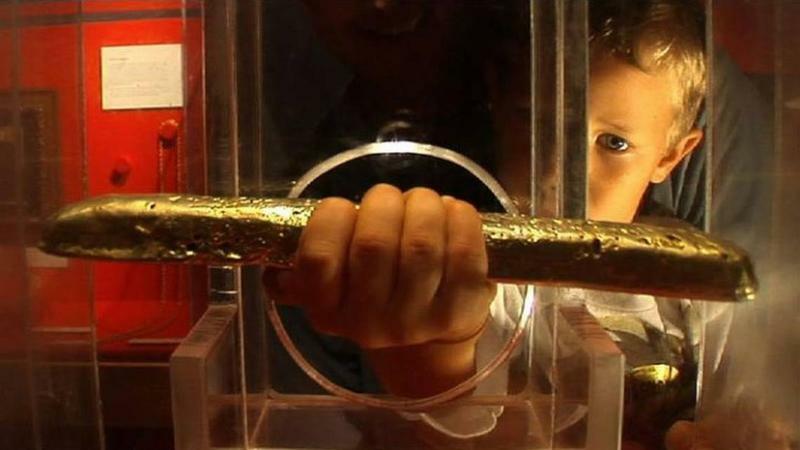 Museum visitors were encouraged to reach in to touch and lift the gold bar, which came from the Santa Margarita, a Spanish treasure galleon that wrecked off the Keys in 1622. Johnson and Goldman got away with the theft for more than seven years, until the FBI received an anonymous tip. They were indicted in January. Johnson pled guilty, while Goldman went to trial and was convicted in May. Both men apologized in court Monday, to the museum and to the Key West community. 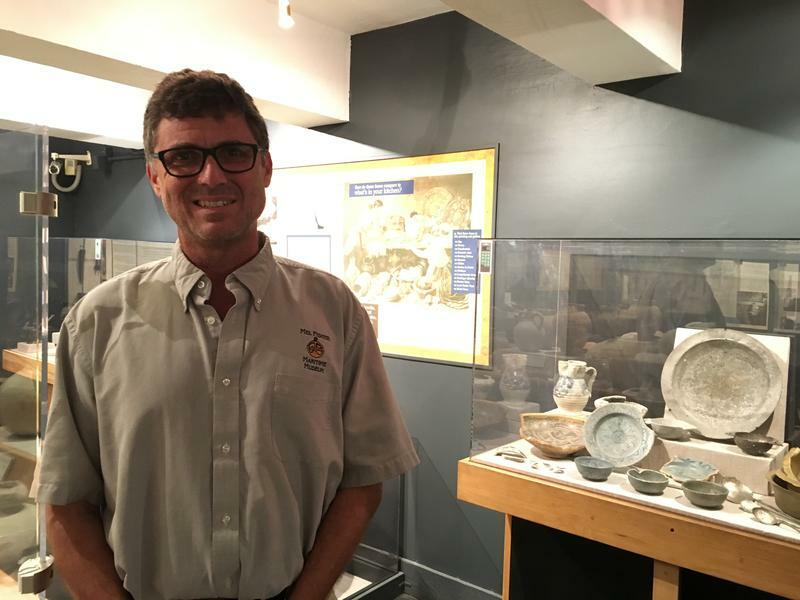 The pair was also ordered to pay $580,195.43 in restitution to the museum, which displays treasure and other historical artifacts from the days of sailing trade between Europe and the Americas. The museum had video from the theft of the gold bar - but the pair still eluded authorities for more than seven years. The museum was founded by treasure hunter Mel Fisher, who was famous for discovering the mother lode of Nuestra Señora de Atocha, the treasure galleon that also sank in the 1622 hurricane. While the insurance company paid the museum about $100,000 for the loss of the gold bar, the museum's executive director insisted in court Monday that it was worth far more — if not priceless. Melissa Kendrick said establishing a fair market value for the bar by comparing it to sales of other shipwreck gold wasn't fair. "Those bars do not have a pedigree that the bar stolen from the museum had. Those bars were ordinary shipwreck bars," she said. "This bar was iconic." The Mel Fisher Maritime Museum still has gold bars from shipwrecks on display, but none that you can touch or lift. The "lift-a-gold-bar" exhibit was the museum's centerpiece, and featured heavily in their marketing. "Probably about 3 to 4 million people lifted that bar," Kendrick said. "Even if you have the insurance money for it, you can't replace it. There's not another." The defense attorneys argued that the bar's historic value was included in the comparable sales and insurance payout. But Kendrick said the bar was worth more than the value of the gold. "The cultural community doesn't value a Rembrandt for the cost of the canvas and the paint," she said. U.S. District Court Judge Jose E. Martinez appeared to agree, setting the value at $556,000 and ordering the restitution — even as he doubted whether it would ever be paid. "That's a bad crime. It's not like they stole a tank full of gasoline," he said. "It resulted in the destruction of an artifact that was priceless — I really believe it was priceless." Martinez compared the value of the stolen and destroyed gold bar to Magna Carta, the document from 1215 that established rights of different parts of English society. "It's worth, what, 12 cents in scrap paper?" Martinez said. "But it's not." 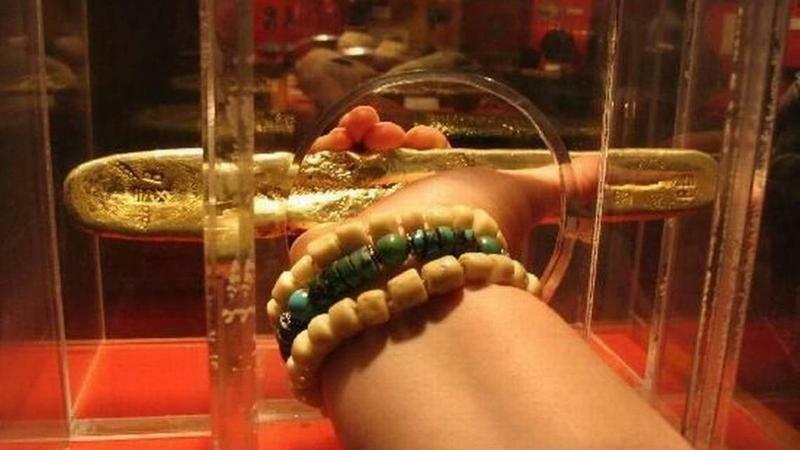 For decades, one of the most popular exhibits at the Mel Fisher Maritime Museum in Key West was "lift a gold bar." Until eight years ago — when two men lifted it. As in stole it. 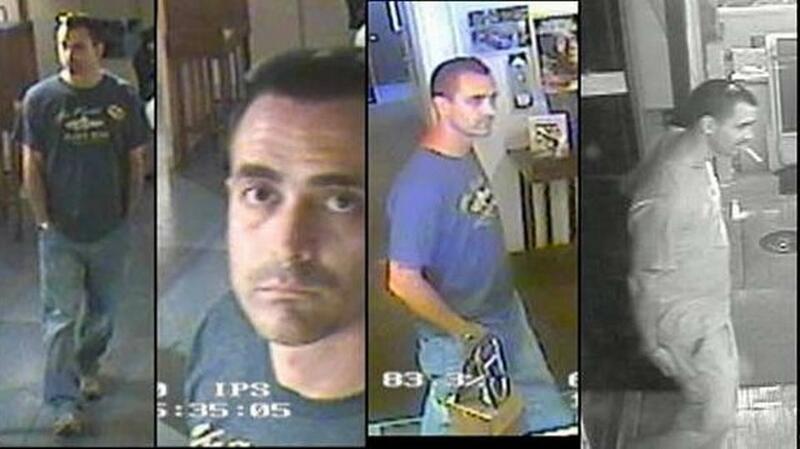 He Said He Knew Nothing About A Gold Bar Stolen From Key West Museum. A Jury Didn't Buy It. The Key West case of the stolen gold bar has ended with two convictions but with only a sliver of the treasure recovered. Jarred Goldman acted as the lookout while his cohort stole a 16th century gold bar from its case at a Key West museum in 2010, a federal jury decided Wednesday evening. He is due in court for sentencing July 23 when he faces up to 15 years in prison for the heist that stunned the Southernmost City and robbed a museum of a treasure valued at $550,000. 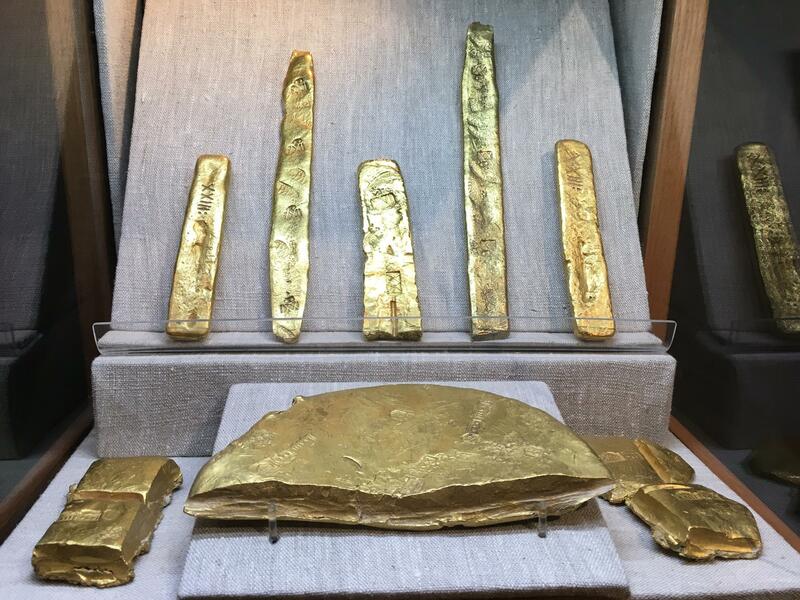 Eight years after it was stolen from a Key West treasure museum — and almost 400 years after it sank to the bottom of the ocean — a gold bar is at the center of a federal trial that began Tuesday in Key West. More than seven years after someone swiped a 17th century gold bar from a museum in Key West, federal prosecutors have indicted two men for stealing the artifact.